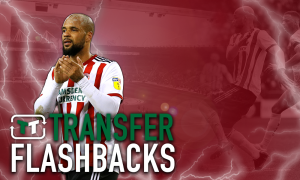 History suggests that Wilder's Blades must avoid play-offs at all costs in May - Verdict | The Transfer Tavern | News, breakdown and analysis on all things football! Sheffield United supporters must hate the thought of having to compete in the play-offs. The Blades have lost no fewer than four finals in the past with their most recent defeat occurring in 2012. Their first ever experience of the knock-out competition saw them face Crystal Palace at the old Wembley Stadium in 1997 with the winner receiving the prize of Premier League football for the following season. With the game seemingly heading toward extra-time, Eagles midfielder David Hopkin received the ball on the edge of the area and fired home an unstoppable strike past United’s Simon Tracey to secure a famous victory for his side. 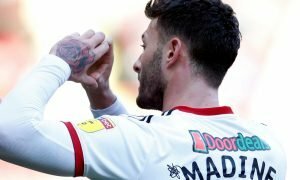 After missing out a year later in the semi-finals against Sunderland, the Blades had to wait another five years to get a shot at redemption for their loss to Palace as Neil Warnock led them to a showdown with Wolverhampton Wanderers at the Millenium Stadium. Despite finishing four points above their opponents in the league standings, United were no match for them in the final as goals from Mark Kennedy, Nathan Blake and Kenny Miller saw the Midlands-based outfit ease to victory in Wales. Yet another final defeat for the Yorkshire-based outfit, this time at the hands of Burnley, occurred in 2009 with the consequences of that particular loss eventually culminating in relegation to the third tier two years later. Whilst in League One, the Blades reached the play-offs on three occasions with the first campaign arguably being the most painful of the lot. After missing out on automatic promotion to their bitter rivals Sheffield Wednesday, the club faced Huddersfield Town in an all-Yorkshire final at Wembley Stadium. Heading into the clash as clear favourites, United failed to produce many clear cut chances in what was a cagey affair. 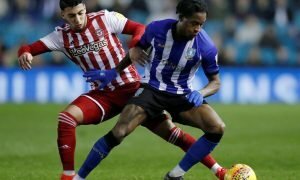 The Terriers came closest to breaking the deadlock via a Danny Ward strike which skimmed the crossbar yet after 120 minutes of action, the game had to be settled by a penalty shoot-out. Huddersfield recovered from missing their first three attempts to extend the tension all the way up to a situation where both goalkeepers had to score a spot-kick. A conversion by Alex Smithies gave his side an 8-7 lead which put the pressure on Blades player Steve Simonson to follow suit or risk losing the game. The ‘keeper succumbed to the tension by blazing his penalty over the bar, thus breaking the hearts of his supporters. Defeats in the semi-finals to Yeovil and Swindon Town followed this disappointment and etched a clear message into the minds of anyone associated with United; avoid the play-offs at all costs. With a return to the competition possible this season, Chris Wilder will be wanting to instead secure a top-two finish in the Championship which will guarantee their passage to the Premier League. To do this however, they must overcome a Leeds United side who have an equally as bad record in the play-off competitions and so will be fighting until the very end to secure automatic promotion under the guidance of Marcelo Bielsa. If the Blades do secure a return to the top flight in May, it will be ironic that the club who beat them at Wembley in 2012, Huddersfield, will be one of the sides that they will be replacing. Football is a strange game isn’t it?